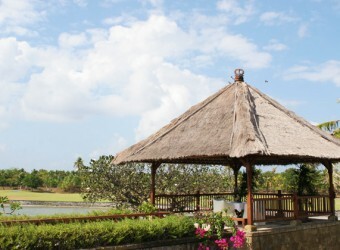 Barong Restaurant is located in Bali Golf & Country Club in Nusa Dua Resort area. You can enjoy your meal with great ocean and resort view in the golf course. We offer the original special set menu "Western Lunch at Private Gazebo" and you can choose your favorite meal from 3 menus. Moreover, if you book over 2 people, free gazebo decoration is available.